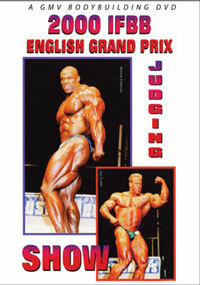 2000 ENGLISH GRAND PRIX - MUSCLEFEST 2000 IN THE U.K.!! 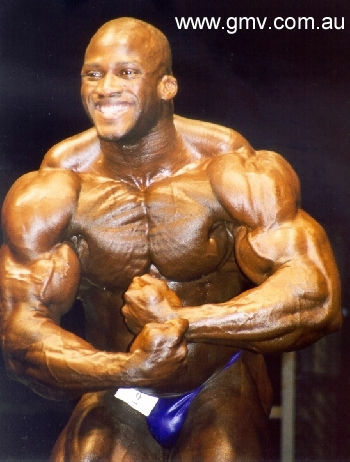 Ronnie Coleman triumphs again in the best lineup ever seen at the English Grand Prix. Held just one week after the 2000 Olympia all athletes are in superb condition - a truly awesome sight, as 16 outstanding champions crowd the stage. This was in the days when Ronnie used to stick it to Jay in every contest and this was just after Ronnie won his Mr Olympia title #3. Includes key comparisons, all contestants posing routines, posedowns and awards. Check out Jay Cutler! He’s in the most awesome shape of his life!! For all Markus Ruhl fans, he got the equal loudest applause of the night for his freaky build.